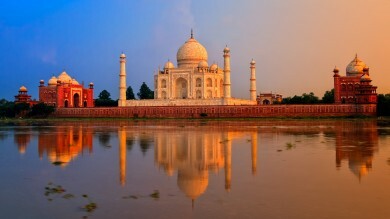 Delhi, the capital city of India, may overwhelm most visitors on first sight, but it has its own way of growing on you. The mesmerizing balance between history and modernity makes Delhi one of the most unique cities on the planet. You can find breathtaking forts, palaces, gardens, temples and mosques that are steeped with history, and explore cosmopolitan delights, exciting nightclubs, international cuisines, fantastic shopping experience and a beautiful culture, all while in Delhi. 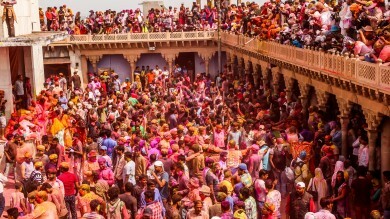 If you’re planning to take that much anticipated trip to the Indian capital anytime soon, here are some of the top things to do in Delhi. 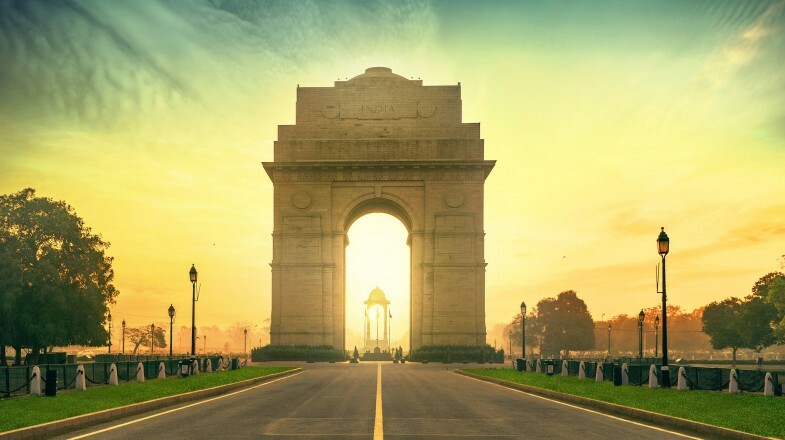 India Gate, one of the most popular Indian monuments and one of the first stops on most traveler itineraries, is famous for its majestic structure, beautiful fountains that have been carved in sandstone, and plush lawns. The gate was built by Lutyens to commemorate the thousands of Indian soldiers who died during World War I and during the Afghan war. The names of each soldier has been inscribed on its walls and an eternal flame burns below the gate ever since 1971. An ideal time to visit the India Gate is during the evening, once the structure is bathing in the surrounding lights. Good to know: India Gate stands in the centre of a large park – the park is always open, and entrance is free. It is a popular picnic spot for Delhiites and is usually busy, making it a good place for people-watching. The Lotus Temple, a sanctuary for those looking for some peace and quiet, is considered to be one of the most recognizable landmarks in Delhi because of its unique architecture. 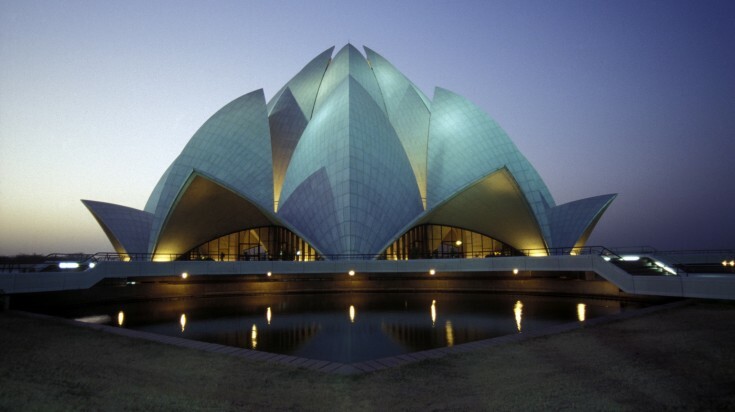 The temple has been designed to resemble the shape of a lotus, with 27 petals created out of marble. The temple might be dedicated to the Bahá’í people, but people from all sorts of religious backgrounds come here for worship. Don’t forget to leave your shoes in the shoe room before entering the temple and spend some time in its beautifully manicured gardens. Good to know: The Lotus Temple is open from Tuesday to Sunday, 09:00 to 17:30. This enchanting park is considered to be one of the most favorite hangouts in Delhi. From power yielding politicians to ardent teenagers, you can find all sorts of people at the Lodi Gardens. The gardens were created to host the tombs of Lodi and Sayyid rulers, but are mostly famous as a much needed respite of green in an oasis of concrete. The tombs of Sikander Lodi and Mohammed Shah are also known to be worth a watch. There’s an ancient eight piered bridge known as the Athpula which dates back to the time of Emperor Akbar as well. 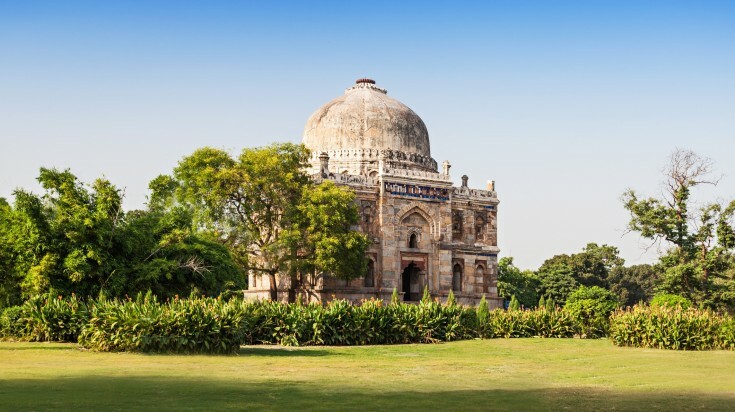 Good to know: Lodi Gardens is open every day from morning to evening (from around 05:00 to 20:00). Entrance is free and there is no fee for photography either. The nearest metro station is JLN Stadium. Humayun’s Tomb is famous as the most captivating and perfectly proportioned mausoleum in Delhi. The tomb has been built in such a way that it seems to float over the lush gardens that surround it. Designed for the Mughal emperor Humayun, the structure is known to date back to the mid-16th century. It features Mughal and Persian elements and is totally worth a visit. The entire complex follows the rules of Islamic geometry and special emphasis has been provided to the number 8. To the right of the complex, you can also find the Isa Khan tomb, which is considered to be one of the best examples of Lodi-era architecture. Good to know: The monument is open daily from sunrise to sunset. There is a charge of USD 6.75 for foreign visitors. There is no charge for photography but a fee of USD 0.30* is payable for filming. The nearest metro station is JLN Stadium. The ancient Qutub Minar finds its way into most of the things to do in Delhi lists because of the experience that it offers. Considered to be the tallest brick minaret in the world, Qutub Minar is an exciting example of Indo-Islamic architecture. It features 5 distinct storeys, with each storey covered with writings from the Koran and intricate carvings. The complex is full of ancient ruins and monuments and the architectural magnificence on display is truly special. Other popular sights in its immediate vicinity include the Ashokan pillar, an iron column which is believed to be about 1600 years old, and the Quwwat-ul-Islam, the very first mosque of India. Good to know: Foreign visitors must pay an entrance fee of USD 6.75*. The monument is open every day from sunrise to sunset. 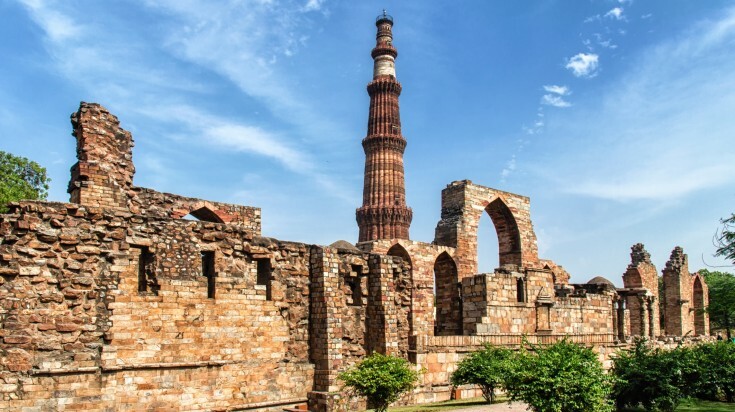 Fun fact: The Qutub Minar complex is considered the first set of monuments of Muslim India - the Qutab Minar itself was begun in 1200 CE by Qutab-ud-din Aibak, the first Muslim ruler of Delhi. 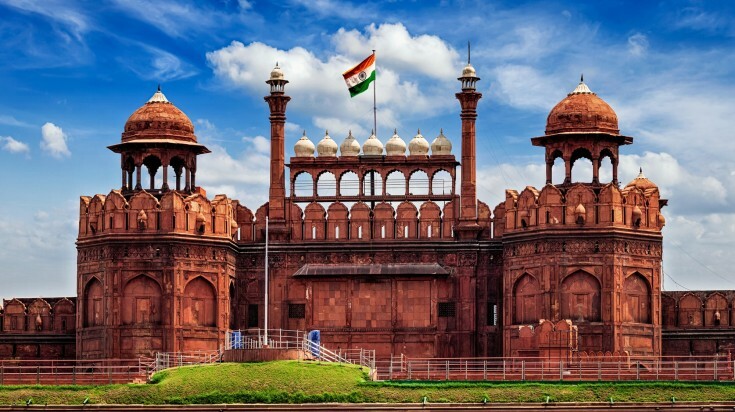 The Red Fort of Delhi, or Lal Qila, is a Mughal fortress which surrounds an ancient city. Tourists are allowed to view its ancient mosques, architecture, halls and structures and discover the rich history associated with the Mughal-era Delhi. This massive fort might be a shadow of its former self, but it is still known to evoke feelings of splendor and remind visitors of the grandeur of this historic Delhi. Although most of the precious stones and gold that once decorated this fort were cleared out by its conquerors, the fascinating architecture still manages to make the fort stand out among the countless historic wonders located all over the Indian capital. Good to know: Red Fort is open Tuesday to Sunday from sunrise to sunset. Entry fee for foreign visitors is priced USD 6.75*, and there is an additional USD 0.30 fee for filming. Prices for the daily light and sound show are USD 1 (on weekends) and USD 0.80 (on weekdays). Fun fact: Red Fort was originally known as Qila-e-Mubarak, meaning 'Blessed Fort' and is the largest historical monument in Delhi. Any trip to India is never complete without paying your homage to the founding father of modern India, Mahatma Gandhi. The leader of the Indian Freedom Movement left his mark all over the globe because of his ideals of non-violence and his attitude of caring for others. The Raj Ghat is a beautiful memorial that has been dedicated to Gandhi and is the very place where he was cremated. 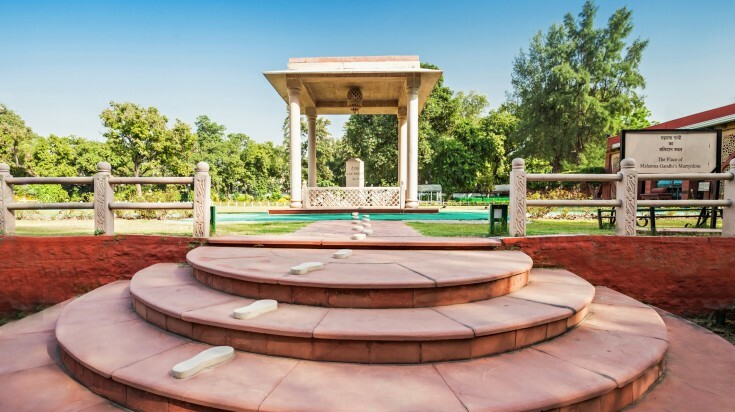 While visiting the Raj Ghat, walk into its central courtyard in order to walk around the black marble memorial. Good to know: The Gandhi Memorial is open daily, 06:30 – 18:00; there is no entrance fee. The nearest metro station is Kashmiri Gate. Fun fact: 'Raj Ghat' is now commonly used to refer to the Gandhi Memorial but a line of ghats, steps giving access to the river for worship, washing and bathing, have been present on the banks of the River Yamuna since the 17th century. The surrounding park includes trees planted by Dwight D. Eisenhower, Queen Elizabeth II and Ho Chi Minh among others. A relatively new addition to the capital's collection of monumental architecture, the Akshardham Temple, consecrated in 2005, is recognised by the Guinness Book of World Records as the 'largest comprehensive Hindu temple' in the world. Consisting of intricately-decorated central temple building — the Akshardham Mandir, as well as exhibition halls, a water fountain and an expanse of ornate gardens, the complex took 11,000 artisans five years to construct, and it is estimated that 70% of all tourists to Delhi now visit the site. 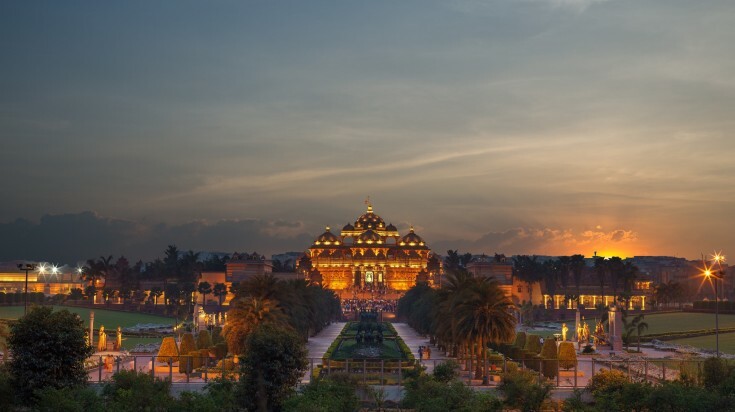 The Akshardham Temple showcases 10,000 years of Indian culture and proudly represents the country's rich architectural heritage and profound spirituality. Since its opening, it has quickly established itself as one of Delhi's most unmissable sights. Good to know: The Akshardham Temple opens at 9:30 and last entry is at 18:30. Entry to the temple complex is free but tickets are required to the exhibition and the Musical Fountain. Children under 4 are free. Photography is forbidden inside the complex and all electronic equipment must be left in the cloakroom. Delhi is without doubt one of the best places for shopping in India, and it is a city where you can find just about anything. While there are now some more upmarket and glitzy places to visit, the most authentic and atmospheric destinations are the traditional markets and bazaars. Each market and shopping area specialises in different goods; the trick is first to decide what you hope to buy and what kind of experience you want and then to choose the market accordingly. Dilli Haat is a large market that is good for Indian handicrafts, jewellery, fabrics and saris among other things. At Janpath, you will find paintings, leather, shoes and imitation jewellery. Paharganj, the popular backpacker area across the road from New Delhi Station (also known as Main Bazaar) is one of the most chaotic markets and is not for the faint-hearted. Khan Market, on the other hand, is much less unruly and is good for ayurvedic medicine. If you are looking for branded clothing (with undetectable defects) then Sarojini Nagar is the place to splurge in. Good to know: Bring your best haggling skills if you decide to try shopping in Delhi. Also, be aware of days that some of the markets close down. 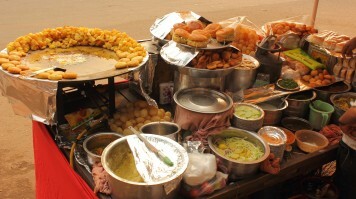 Food is a big part of Indian culture, and the best place to explore it is Delhi. From cheap eats costing next to nothing, right up to extravagant meals in (relatively) expensive restaurants, Delhi plates up almost everything. 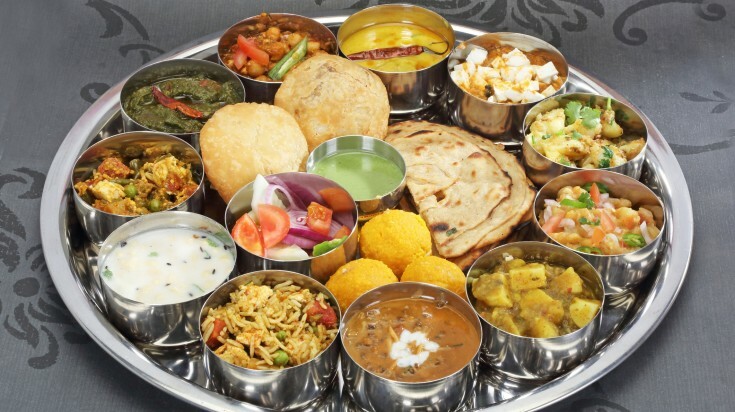 Try popular street food like golgappa, chat, and pav bhaji, and full traditional thali — a tray of food including bread, rice and several accompaniments. When it comes to street food, there is no need to avoid it entirely but be sensible about hygiene and be wary of anything that has clearly been sitting around uncovered for long periods. If you are not sure where to go, we highly recommend a dinner at Karim’s Restaurant, a place that was once responsible for producing royal cooks for the Mughal rulers, and try out dishes such as chicken korma, mutton burraand seekh kababs. Good to know: Avoid touching food with your left hand — although locals are now well used to foreigners who are unfamiliar with local customs, according to Indian tradition, the left hand is considered unclean and it is improper to use it to eat. India's unofficial national sport and an obsession for what seems like practically everyone in the country is cricket. In Delhi, as elsewhere, you will have the chance to watch amateur matches taking place on open public spaces across the city. However, for the full boisterous experience of watching a professional match, try to acquire tickets for a game at the Feroz Shah Kotla ground (often known simply as the 'Kotla'), one of the oldest in the country. The local Delhi cricket team play there, as do the Delhi Daredevils of the Indian Premier League (IPL). The stadium also hosts international cricket matches. Good to know: The stadium is located in East Delhi, with the nearest metro station being ITO. Tickets for matches can be bought online. For IPL matches, prices range from USD10 – USD 200*. If you want to see the 'other side' of life in the city, join an organised walking tour guided by former street children. 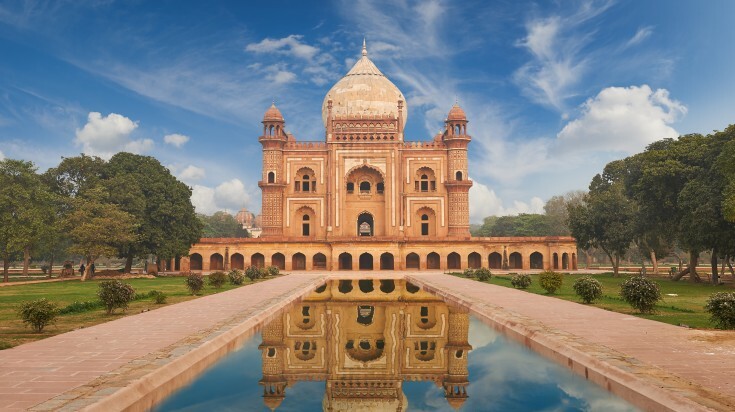 India's capital is not only about grand monuments, shopping and eating, and if you think it's important to learn about the more unpalatable aspects of Delhi life, taking one of these tours will be an eye-opening experience. You will explore hidden alleys and discover parts of the city that most tourists never see while gaining a deeper insight into the lives of the street children. At the same time, you will be helping the children develop vital skills and will also be contributing to the alleviation of child poverty in Delhi. Good to know: The walks last about two hours and take place around the Paharganj area. There is no set fee, but the recommended donation is a minimum of around USD 4.10*. For first-time visitors, Delhi can seem like an incomprehensible mess of traffic, noise and disorder. However, as you become accustomed to the crowds and the chaos, you begin to uncover a vibrant and exciting city with layers of history and enough attractions to keep you busy even if you return again and again.